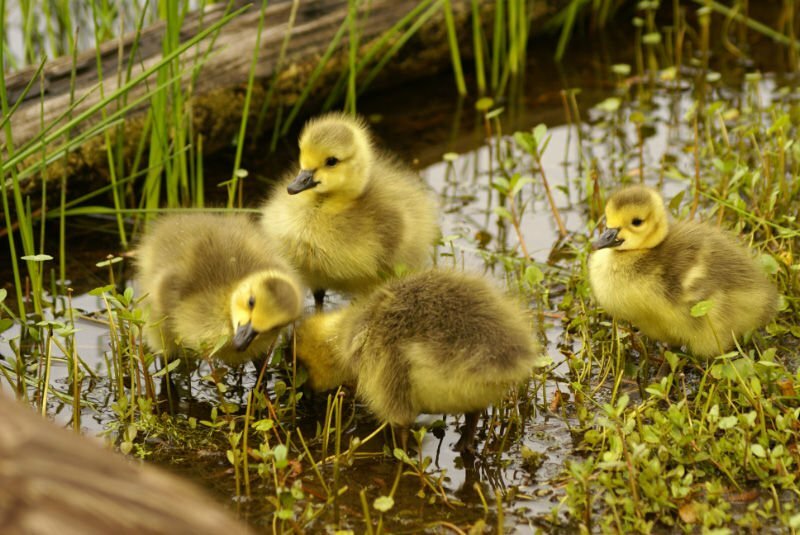 From Bob Bradley of Pineville SC: "Seems like we're among the few who still love having the Geese around, especially the little ones every spring — Always a treat." From Bill Goff of Daniel Island: "Our new cat Abigail when she was just a few weeks old. How can you say no to those big blue eyes?" From Carol Ryan of Summerville: "Purple finches in hanging basket at our home." From Daniel Riddle: "A very new-to-this-world black swan baby from Swan lake Iris gardens." From Jenion Tyson of North Charleston: "False color infrared - something new I'm getting into. Park next to the Kaminski House in Georgetown." From John Hutto: "Paige’s Thieves Market" in Mount Pleasant. From Ken Robichaux of Mount Pleasant: "Last August my wife and I took a cruise through the North Atlantic. For the first time we visited The Shetland Islands, Iceland, and Greenland. I shot this photo as our ship was leaving Iceland." Lindsay Pettinicchi came across this raccoon while on the USCB Beaufort campus outside of the Marine Science Building overlooking the gorgeous marsh recently. She took out her camera to get its picture very quickly before it ran away and it turned into a photo shoot. From Marty Ryan of Summerville: "Photo taken at home where dove set up nest in one of our hanging plants. Babies are feeding on 'crop milk.' Mourning Dove's produce a food called pigeon milk (not really milk) by glands in the crop of the adult bird. The parent opens its mouth wide, permitting the nestling to stick its head inside to feed on the nutritious food." From Nancyjean Nettles: "My grandson, Athan Tawes, with this just-hatched Anole. He and I love these critters!" From Ronald Allan Charles of Goose Creek: "Last week I watched baby turtles being released on the beach in Montezuma, Costa Rica. Turtle-loving volunteers dug up about 40 from a protected area where they had just hatched 20 minutes earlier, then pointed them towards the Pacific Ocean and cheered them on. Before getting wet, the turtles crossed a GOOD LUCK wish drawn on the sand, with a heart symbol after it. I was surprised that Costa Rican turtles could read, especially a foreign language as complex as English!"